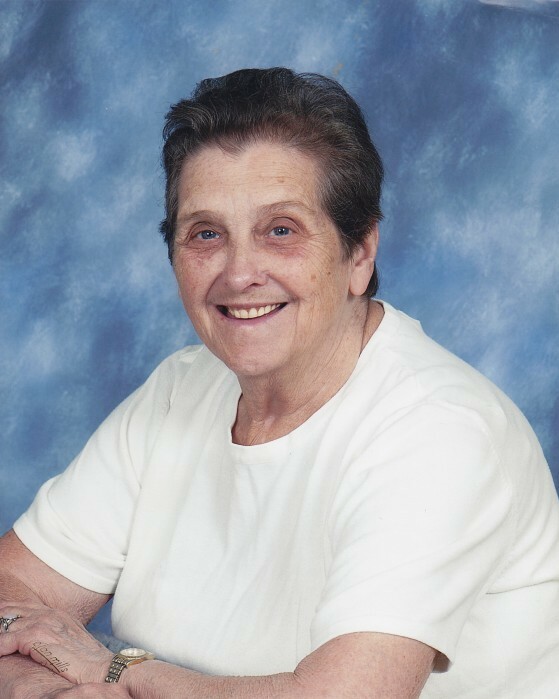 Ada Francisco, 88, of Salem passed away at Roanoke Memorial Hospital on Friday, March 22, 2019. She was preceded in death by her parents, Hobert and Mable Boothe Greenway; her husband, Clarence A. Francisco, Sr.; two daughters, Judy A. King and Louise Elizabeth Francisco; her grandson, Micheal Trail; two brothers, Robert and Ralph Greenway; and two sisters, Katherine Farmer and Nellie Little. Ada is survived by three sons, Clarence A. Francisco, Donald Francisco and wife Marsha, and Roger Francisco and wife Tracy; twelve grandchildren; thirty great grandchildren; one great great grandchild; three sisters, Shirley Shepard and husband Dickie, Doris Payne, and Helen Dennis; and a brother, Johnny Greenway; sister-in-law, Dorothy Greenway; a special friend, Terry Delaney. The family will receive friends at New Creations Ministries, 202 E. Third Street, Salem on Tuesday, March 26, 2019 from 2:00 until 4:00 pm and 6:00 until 8:00 pm. A funeral service will be held at New Creations Ministries on Wednesday, March 27, 2019 at Noon. Burial will follow in Smith Cemetery.